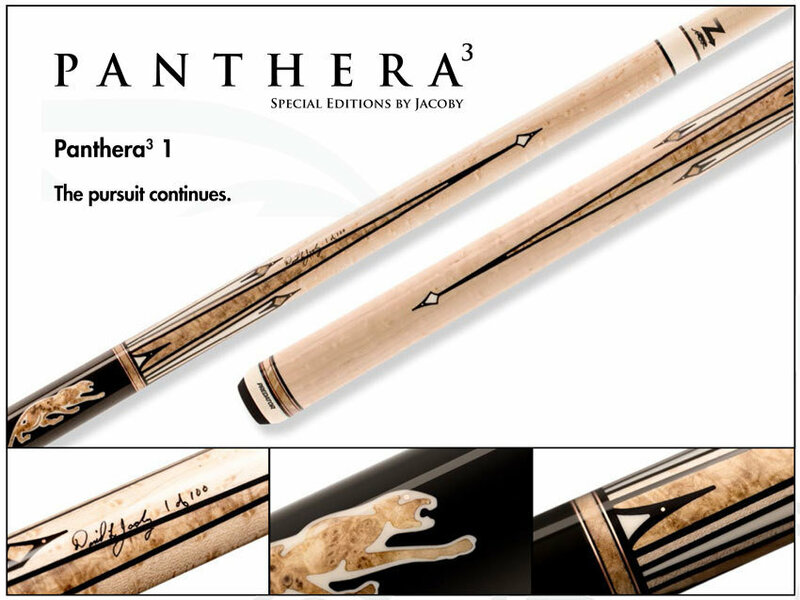 Predator Pantera 3 - 1 Special Edition Pool Cue by Jacoby Custom Cues. The pursuit continues. Introducing the latest generation of the heralded Panthera series of special edition cues by Jacoby. True to their lineage, Panthera 3 cues draw their inspiration from the vibrant and fierce predatory cats that have long lived as apex Predators. Flawlessly crafted from Black Ash Burl, rich Gabon Ebony, and warm Micarta, these majestic cues feature rose-gold alloy rings, accents and inlays – emerging ready to pounce with a customizable Uni-Loc® weight cartridge system and Predator’s world renowned 314 3 and Z 3 low deflection shafts. Only 100 of each individually signed and numbered Panthera 3 will be unleashed, making them an extraordinary sight to behold.